The French government is to deploy its military anti-terror force as reinforcement during Act 19 of Saturday's Gilets Jaunes (Yellow Vests) protests, President Emmanuel Macron decided on Wednesday. "The president has requested emergency measures to toughen the security by the armed forces", Benjamin Griveaux, the spokesperson for the French Elysee Palace, said on Wednesday. The yellow vests, he said, "are not protesters, but rioters". 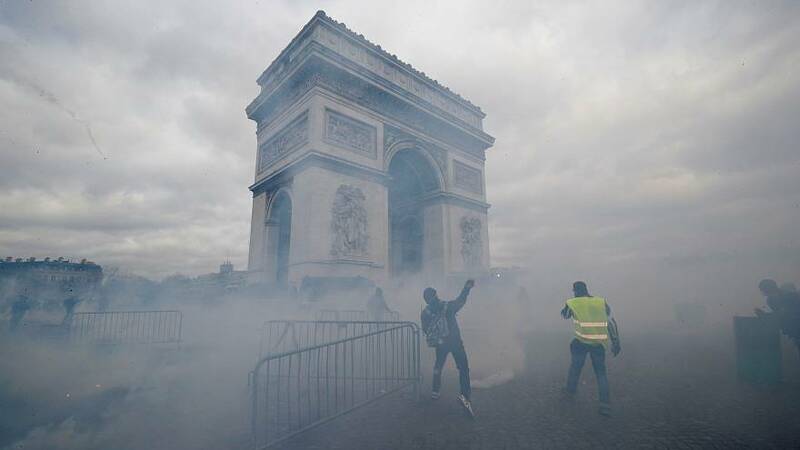 Alongside the deployment of the French military anti-terror force, called Sentinelle, to protect official buildings and other "static places", Griveaux announced that armed forces would start using surveillance drones and throw indelible, invisible liquid on protesters to mark them. "We cannot let a minuscule minority damage our country and the French image abroad", he said. The decision came after violence marred last weekend's protests, reaching levels not seen since December. Following the attacks at Charlie Hebdo in 2015, the military has been patrolling the streets across the country.